LV function was severely reduced. 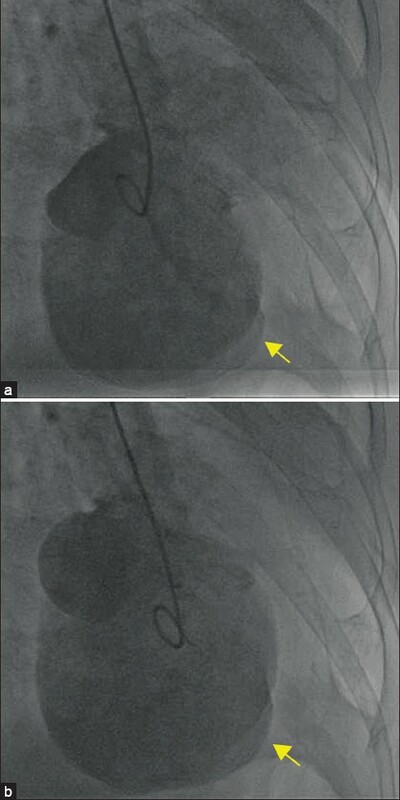 He underwent successful coronary artery bypass graft surgery with aneurysmectomy. 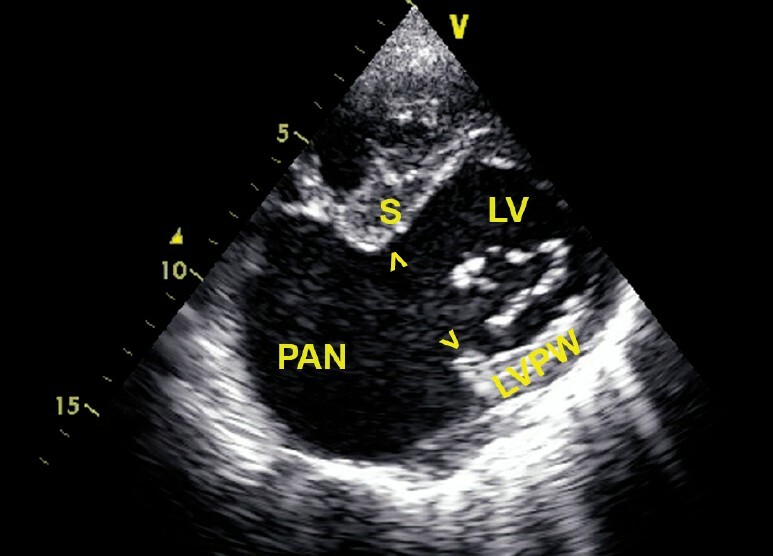 Left ventricular (LV) free wall rupture is a potentially lethal mechanical complication after myocardial infarction (MI). 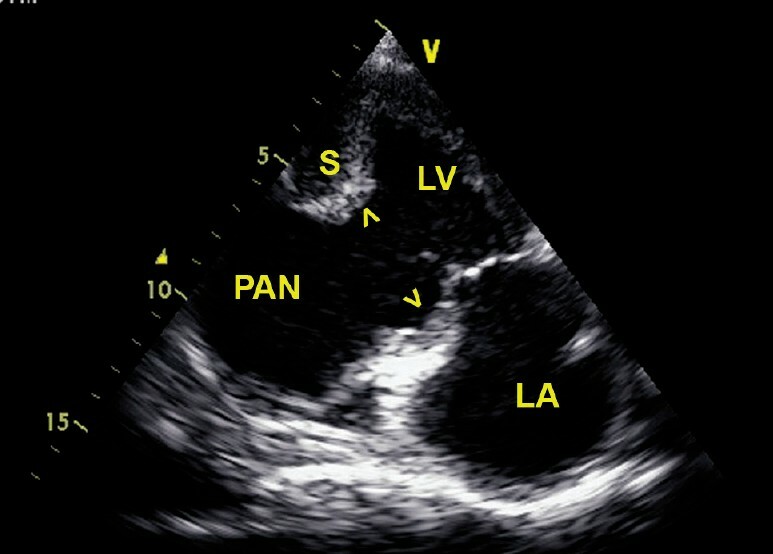 Echocardiography is a very sensitive and specific imaging modality not only in diagnosis but also in evaluating complications related to it.